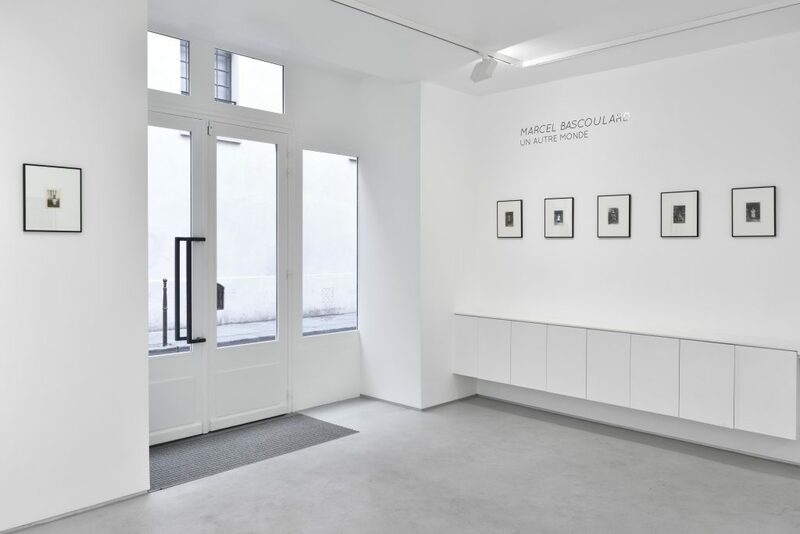 This exhibition, showcasing Marcel Bascoulard’s photographic self-portraits, is a true event since it is the first time these images are gathered and shown. Their unlikely realization, an almost unique case of art brut photography, as well as their serendipitous preservation, that we owe to the memory filled benevolence of a few local families, is nothing short of a miracle. This exhilarating discovery allows us to share the marvelous vision of a fiercely unhindered creator, whose imaginary world is as mysterious as it is wonderful. Bascoulard was a well-known character in Bourges, his memory is still very much alive, in a very touching manner, in many locals’ minds, especially to those who crossed his path as they were children. The relationship between Bascoulard and the locals, a subtle mix between fascination and distrust, seemed to suit the artist perfectly as he was in most part responsible for this dynamic. Even though he would drive off the occasional onlooker who ventured to watch him draw, he’d generously and happily distribute his photographic self portraits. 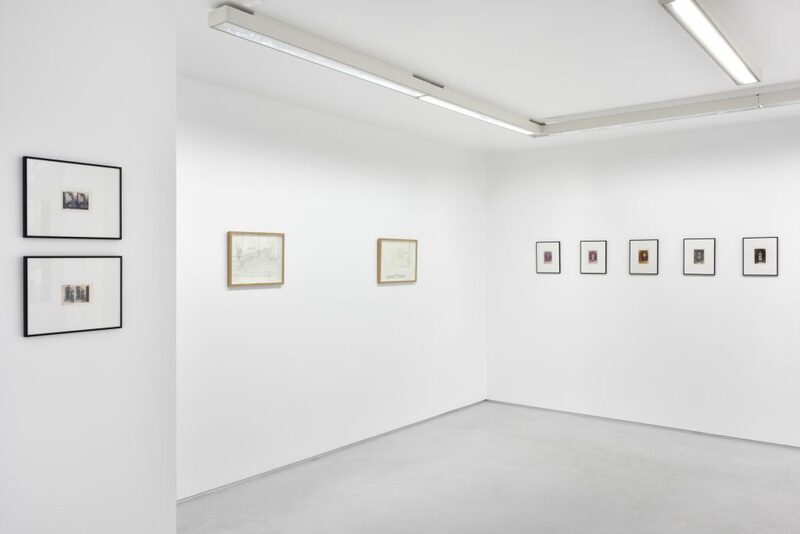 Bascoulard’s drawing are unanimously acclaimed both by the local, flattered in his appeal to regional heritage, and the amateur who remains fascinated by the precision and meticulousness of the strokes that lead him out of this world. The same cannot be said of his photographs. It is obvious that a man dressed-up as a woman isn’t appropriate. However, all parties agree to state that these images, though distorting reality, do not provoke nor offend the spectator as they are void of any sexual intent. Bascoulard’s drawings are completely deserted of any human figure. Its only representation therefore remains in the photographic self-portraits. These images try to reach an ideal, a « How I wished I could be », or even a how I wished the world could be, since I cannot or wish not see it the way it is. Thus Bascoulard creates his own fantasy character, a fairytale hero, looming up, as in a dream, from ramshackle backyards or amidst wasteland puddles. A subtle tenderness, a generous and protective sweetness, an emotional, almost maternal ideal emerges from these small icons with strange and magical qualities, which Bascoulard will distribute like holy cards. 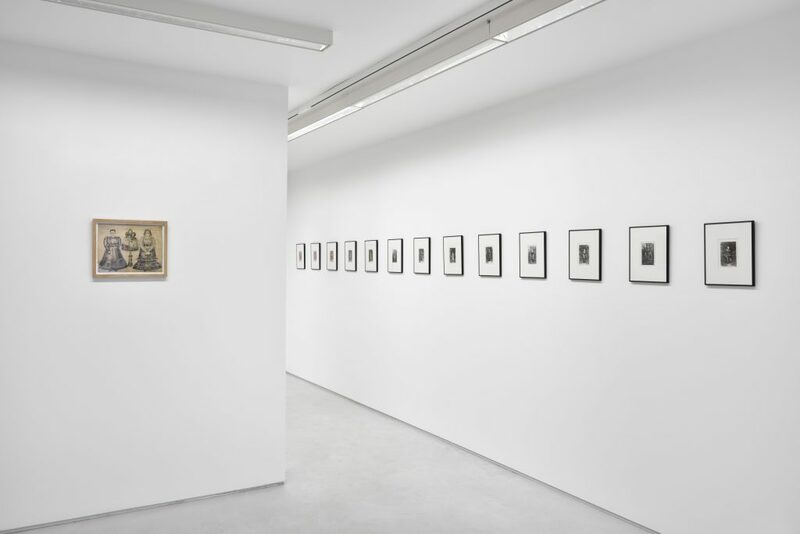 Bascoulard started his photographic series in 1942, the desire to escape the bleak everyday life during the French occupation might have something to do with it, but their realization will always be prone to the greatest precariousness. The fact he kept on going until he died in 1978 is astounding, as is the permanency of this meticulous obsession that will have him number his poses, register the date and time of each shot, and even the locations however unlikely. The clothes, what a fashion lesson ! come in an abundant variety. Bascoulard designed his outfits but had them made by seamstresses or even, sublime bizarreness, by orphans in an apprentice school. No piece of clothing remains unfortunately. The dresses are the only moult vectors, Bascoulard doesn’t wear make-up nor does he try to change his face features, his hair, a bum’s privilege, are at best tamed. Final paradox, on almost all photographs, he holds a mirror – or a piece of mirror to be exact – in his right hand. Strange fact for someone who doesn’t care about how his face looks, but a fabulous metaphor for the reflected image, the essence of photography, a photography whose meaning he instinctively and masterfully grasped to give us these frail images, an enchanting yet tangible dream of his « other world ». 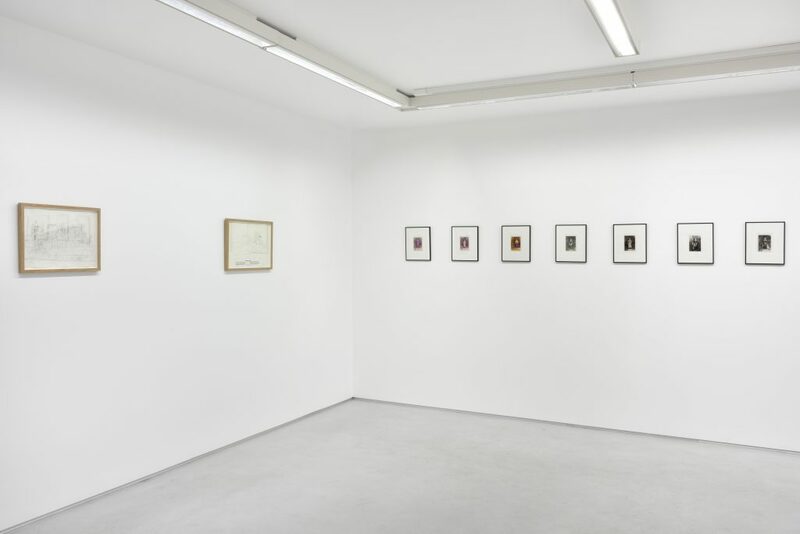 Marcel Bascoulard ‘Another World’ Installation view. 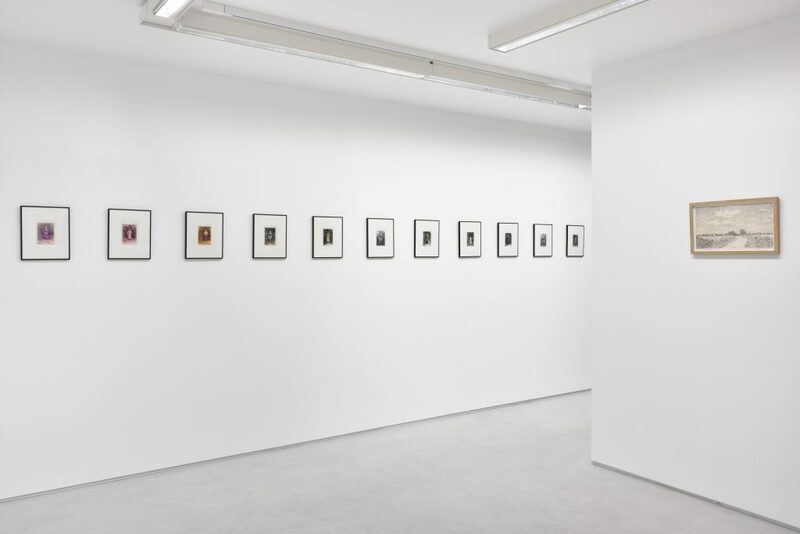 Courtesy Galerie Christophe Gaillard, Paris.